Video: Paul Ryan denies he is hypocrite by refusing to expand paid family leave. 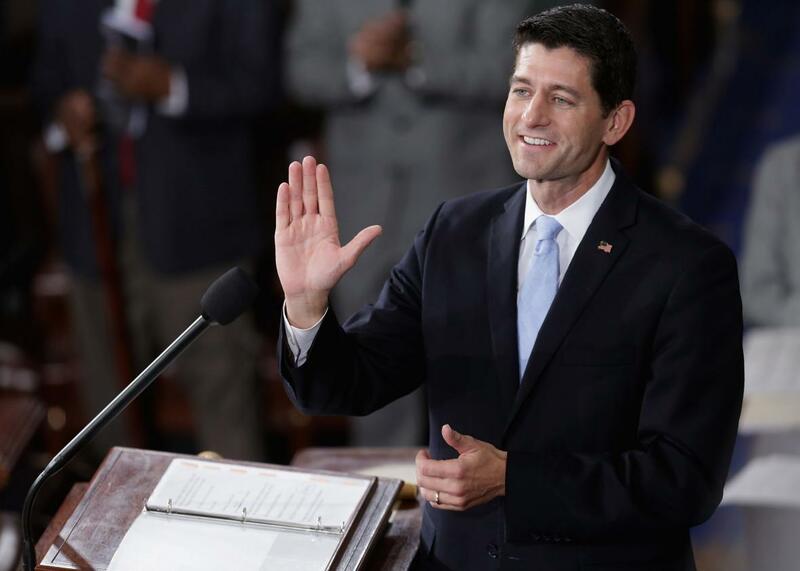 New Speaker of the House Paul Ryan waves to his supporters, guests, and members of his family in the House chamber at the U.S. Capitol on Oct. 29, 2015 in Washington, D.C.
Just because House Speaker Paul Ryan wants a work-family balance doesn’t mean he has a duty to help other Americans achieve the same goal. “I don’t think that sticking up for being a person with balance in your life, for wanting to spend your weekends in your home with your family … I don’t think that means signing up for some new unfunded mandate,” Ryan told CNN’s State of the Union. As a condition to take over the job as speaker, Ryan insisted he didn’t want to give up his “family time.” But apparently his personal views don’t have to correlate with his opinions on public policy. So what could be the solution? More flex time, Ryan said.